We believe in sustainable utilization – meeting the needs of today’s population without damaging the ability of future generations to meet their own needs. Seafood from well managed sources is a sustainable super food. Our basic corporate is to respect natural resources and interact with the Earth and the sea with gratitude. We shall engage in global business activities which enable us to live in harmony with the global environment, and make continuous efforts to build a sustainable society. MSC's vision is of the world’s oceans teeming with life, and seafood supplies safeguarded for this and future generations. The mission is to use the ecolabel and fishery certification program to contribute to the health of the world’s oceans by recognising and rewarding sustainable fishing practices, influencing the choices people make when buying seafood, and working with partners to transform the seafood market to a sustainable basis. MSC collaborate with fishers, retailers, processors, consumers and others to drive change. MSC never compromise on the environmental standards they set, nor on theirs independence. MSC continue to lead the world in wild capture fishery certification, with the most trusted, recognised and credible seafood ecolabel. 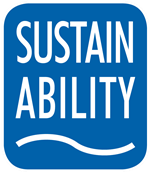 ASC is an abbreviation that stands for Aquaculture Stewardship Council. ASC is an independent, international non-profit organisation that has developed a certification programme for responsible aquaculture. By choosing ASC-certified fish, consumers can rest assured that they are buying responsibly farmed fish, crustaceans and shellfish. ASC works with international producers, companies in the fish chain and supermarkets to meet the growing consumer demand for responsible fish. The ASC quality mark makes it easy for anyone to make a conscious and responsible choice.